We exist to collect, preserve, and provide access to the documentary heritage of Greene County, New York. To achieve this goal the Library now utilizes a two-step approach - we continue as we always have to pursue an active collecting policy to increase and improve our holdings while alternately striving to improve and expand the representation of materials already residing under our roof. All functions of the Vedder are conducted on behalf of and funded through the Greene County Historical Society. In 1922 the Board of Supervisors for Greene County, New York appointed a woman named Jessie Van Vechten Vedder as our first ever County Historian. 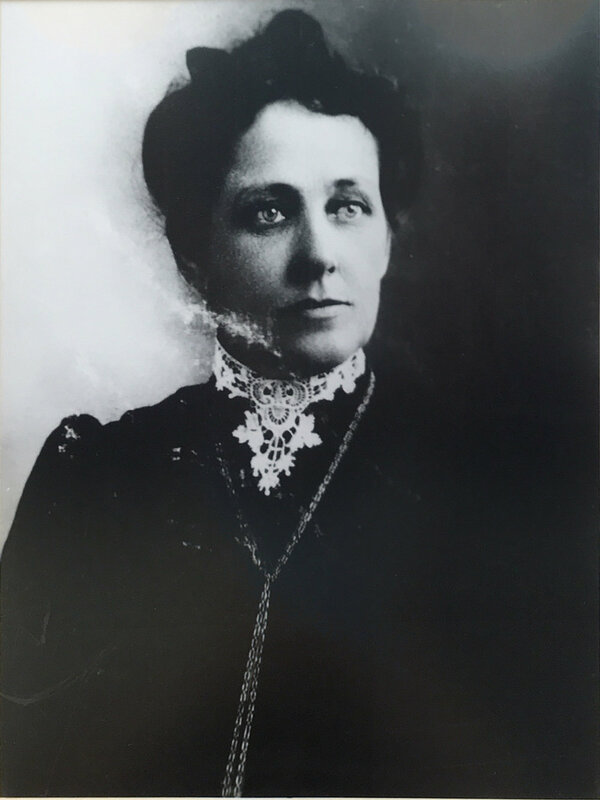 Jessie, as she was universally known, was a daughter of several of the County's oldest and most prestigious families and her interest in local history necessarily stemmed from her deep connection to it. Mrs. Vedder was first and foremost an educator, having spent most of her life as a schoolteacher in Leeds, NY, and bringing much of her experience as an educator to her new position. The books and essays which she published during her lifetime attest to this, and her works remain today some of the most accessible and captivating histories of the settlement of this region. To further facilitate her work as historian Jessie rapidly drummed up interest among members of the community for the formation of a county historical society, and by 1929 her dream had become a reality. Serving as its first secretary, Jessie steered the Greene County Historical Society through the tumultuous years of the Great Depression and voluntarily became the caretaker of the Society's headquarters at the 1663 Bronck House during World War Two - at that time living in the small kitchen dependency behind the main house. At great personal sacrifice, and with a priceless outpouring of her own time, Jessie not only shaped a community organization dedicated to her work but also paved the way for numerous generations of researchers and historians who even now walk in her footsteps. Throughout the Society's early years Jessie was busy building a collection of local historical documents which had remained for generations in private hands. These records included early indentures for land, books, ancient manuscripts and correspondence, and genealogies of founding families. That work continued after her passing, and the material Jessie amassed became the foundation for a Society Library which officially opened in 1963 under the care of Charles E. Dornbusch. Housed in various buildings around the Bronck House Museum Campus, the library finally received its own purpose-built structure in 1996 following a generous outpouring of donations. The facility was naturally named in honor of our founder, and the Vedder Research Library is proud to continue our work in the spirit of Jessie Van Vechten Vedder's legacy.